Prepare a mug with the caramel, teabag, and cinnamon stick (if available). Add the first 5 ingredients to a mixing glass, making sure to add the hot water last. Stir briefly and strain into the prepared mug. Float with bitters. 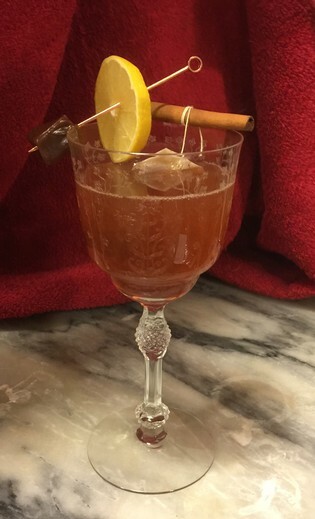 Garnish with lemon wheel and serve with swizzle stick. Note: Each of the four flavored caramels impart a unique character on this cocktail. It’s like four cocktails in one! Try all four flavors! Enjoy and repeat responsibly. 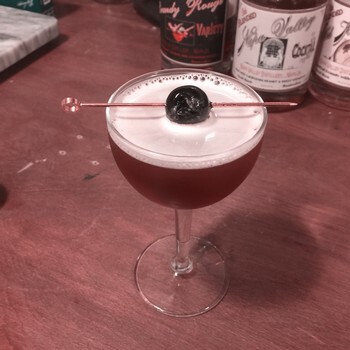 Created exclusively for NVD by mixologist Aaron Lahey. Add all ingredients into a cocktail shaker with ice. Shake well and strain into a cocktail glass. Garnish with a Luxardo Maraschino Cherry and dried or fresh chile (optional). Enjoy and repeat responsibly.